When it comes to dermatological issues (I've been dying to use that hilarious word), I am no novice. I've suffered with oily, sensitive, pore-enlarged, acne-prone skin since I can remember. Doesn't that sound lovely? Yeah... not fun. Although my vegan diet truly helped, finding a good skincare routine has been, as DJ Khaled would say, the key to success. 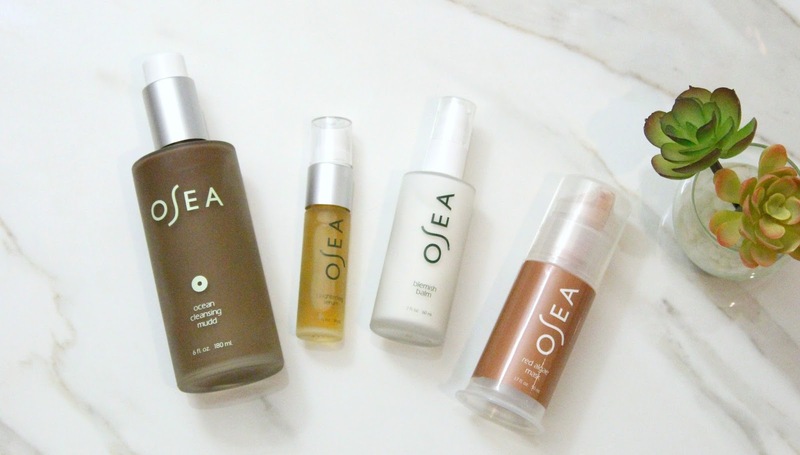 After filming my skincare routine video (which you can watch here if you haven't already), I received quite a few questions over the skincare line I featured- Osea Malibu. I know far too much about how difficult it can be having skin that hinders your self-esteem and confidence. It may not even look as bad as it feels, but the pain behind breakouts often worsens our perspectives. Pronounced Oh-See-Ah, this skincare line is a luxury lover's dream. Organic, natural and skin-feeding- it honestly goes beyond anything I've tried without any harmful effects. Made with plant-based active ingredients and organic essential oils, your skin (no matter the type) will regenerate while repairing with seaweed nutrients and powerful anti-aging treatments. 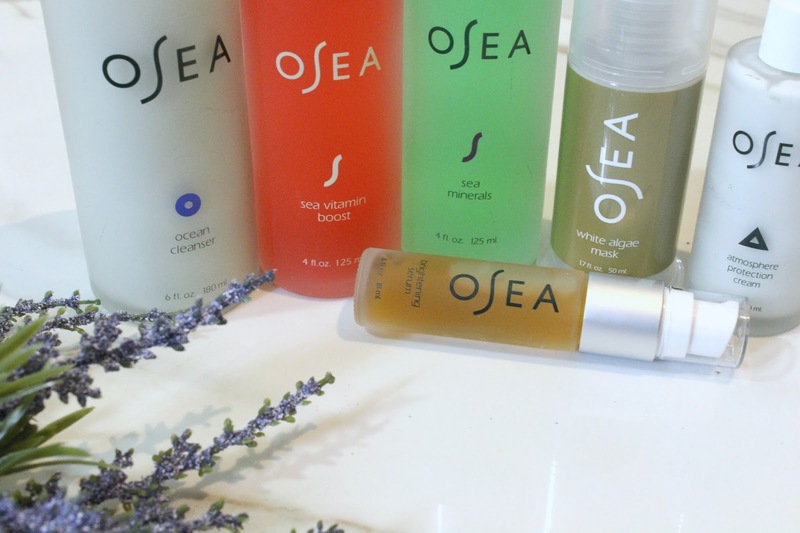 The recyclable glass bottles are perfectly created for dry to oily, mature, combination, sensitive skin and more. This family-oriented business has truly created some of the most beautiful products on the market. I know I sound like a walking (typing?) advertisement, but I cannot say enough good things about everything I've tried. The bioavailable seaweed used has so many benefits and is an abundant source of vitamins, minerals, amino acids, antioxidants and essential fatty acids. 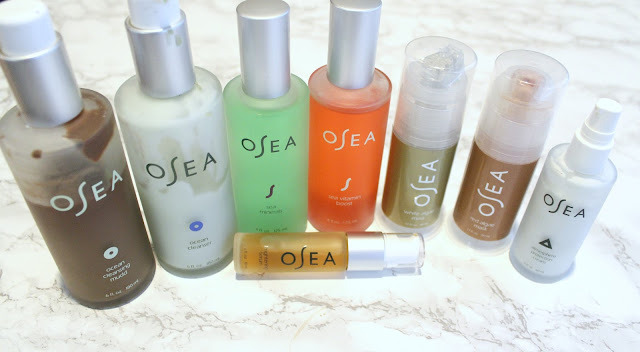 They are ethically created with eco-responsible sourcing (meaning the seaweed used is eco-responsibly hand-foraged as it naturally makes its way into shallow waters without damaging marine life and the ocean floor like many other companies) and are free of harmful ingredients such as phthalates, sulfates, synthetic fillers/fragrance, petrochemicals etc. 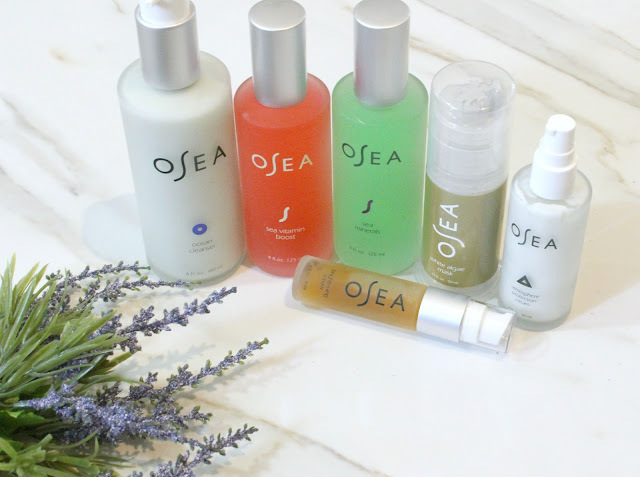 From cleansers and masks to serums and moisturizers, you can find everything you need to form a personalized and complete skincare routine with Osea. Although it is quite difficult for me to pick favorites as I adore them all, my top suggestions for most skin-types would have to be the atmosphere protection cream (which I use as a primer and moisturizer under my makeup) and the sea vitamin boost mist (a rose-hued spray that instantly hydrates your skin and helps all of the products you use seep in to further activate and nourish). Have you tried any Osea Malibu products? Which ones most interest you? I highly recommend perusing their shop (which you can do so by concern or category) so you can find what suits your specific skin-type best! Don't forget that the holidays are coming up, and their luxury products would make the perfect gift to someone else or yourself! TREAT YO SELF! Feel free to use my affiliate link to support my work, and subscribe to their newsletter for discounts! Thanks for reading and have an amazing week! Disclaimer: This post was not sponsored, but the products were sent for review. However, opinions are always 100% my own and never altered by incentives. Y'all know I ain't about that life. Hello! I am new to the makeup world & skincare, can you give me some tips? What do you recommend I start off with? Ive sensitive dry flaky skin after washing face w/ water. Sometimes Id develop red small pimples on cheeks. Ive pores & in the morning i wake up to oily cheeks & nose.. They use ingredients that are naturally occurring and extracted in a safe, and effective manner.